Why should Henrietta Lacks’s family be compensated to use her mother cells? if they are getting consent and money for it because no matter what that’s their mothers cell. In this article that it was about “Henrietta lacks daughter” says that “My mother would be so proud that her cells saved lives,” Lawrence Lacks said in a statement. “She’d be horrified that Johns Hopkins profited while her family to this day has no rights.”(McDaniels) After years she believe that people want her mom’s blood because people just want to make a profit out of it. In this quote it said that the Hopkins’s doctors took there blood with no consent.“Lawrence Lacks, a retired Amtrak engineer, said he remembers when Hopkins doctors came and asked his family for blood samples in the 1970s. They gave the samples not knowing they were being used to research the HeLa cells.”( McDaniels) The way that the doctors take their mother’s cell with no consent take their blood for no reason and all they said is that takes this book it have all the things you need to know is in there. Here is some reasons why should that not let people use there her cell. Here is a reason that why there family should not be compensated. The people that make Biography saids that “Cells taken from her body without her knowledge were used to form the HeLa cell line, which has been used extensively in medical research since that time.”(A&E Television Networks). Why should people take their cell with no consents and Henrietta Lacks dont know what were they doing to her body. Since reason that they should not give compensated from there family. Also in this movie that my class watch it was about Henrietta lacks family they dont like the people that take their mothers cell because after they know their mother have those cell the people want to see that does her family has the cell so in the movie that we watch it shows that when henrietta lacks daughter was litter a doctor was take blood from there family. Now here is some reason that there family should give they compensated to use her cells. Here is five reasons that they should give they compensated. Paul D. Andrews said that five reason that Henrietta Lacks family should give they compensated to use her cell. 1. Before HeLa cells, scientists spent more time trying to keep cells alive than performing actual research on the cells. An endless supply of HeLa cells freed up time for discovery. In 1952, the worst year of the polio epidemic, HeLa cells were used to test the vaccine that protected millions. Some cells in Lacks’s tissue sample behaved differently than others. 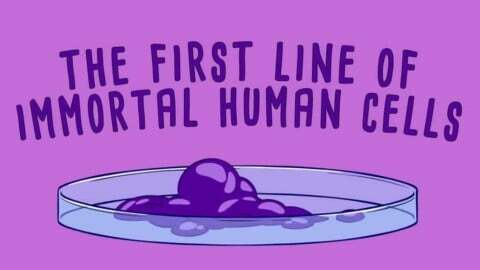 Scientists learned to isolate one specific cell, multiply it, and start a cell line. Isolating one cell and keeping it alive is the basic technique for cloning and in-vitro fertilization. A scientist accidentally poured a chemical on a HeLa cell that spread out its tangled chromosomes. Later on, scientists used this technique to determine that humans have 46 chromosomes—23 pairs—not 48, which provided the basis for making several types of genetic diagnoses. It was discovered that Lacks’s cancerous cells used an enzyme called telomerase to repair their DNA, allowing them, and other types of cancer cells, to function when normal cells would have died. Anti-cancer drugs that work against this enzyme are currently in early clinical trials.”(Popular Science). All of these reasons shows that because of HeLa cell save many people lives because they HeLa cell to look for a Polio epidemic care because in 1952 it was the worst year for Polio so in the Medical History HeLa cells have a really important role to play in the history.without Henrietta Lacks we won’t have HeLa cell and no one ogin got to get safe for polio also hela cells was the first cancer cell that the doctors find that can live longer than a normal cell because it was the first cell that we can use on testaments. A history of how much hela cell affect human race “Over the years, scientists have infected hardy HeLa cells with various viruses — HIV, herpes, Zika, measles, and mumps, to name a few — to better understand how to battle them. They discovered, for instance, that the type of white blood cell called a T cell sports a surface protein called CD4, which is what HIV uses to enter the cell. When CD4 was added to HeLa cells they could be infected with HIV, allowing HIV drugs to be tested on HeLa cells.Researchers also learned that the measles virus constantly mutates when it infects HeLa cells, making the disease harder to fight. More recently, microbiologists found that Zika cannot multiply in HeLa cells. Digging further into why that is could produce a new treatment or vaccine for the disease.”(STAT) This quote says that because of HeLa cells affect a lot of people and the cancer they have. But after all the good things and the bad things Henrietta Lacks’s family should give their compensated to the use of her cell. I think Henrietta Lacks’s family should give the doctors compensated to use her mother cells because without her cell we were not have that much care to safe that much of people. Henrietta Lacks’s Family by Xin is licensed under a Creative Commons Attribution-ShareAlike 4.0 International License. ConsentWhen, if ever, is testing on animals ethical? Your blog was very interesting to read. You had really good evidence and explained things very well. I noticed you have 5 facts which are very eyecatching and entertains the reader. Your analysis is pretty good as well, it was very interesting to see what you had to say because I also based my blog on Henreitta Lacks and was interesting to see where we have similarties. But overall very good job on your blog. My name is Nacia and I really enjoyed reading your post because it is organized and very detailed. By that I am talking about when you had the 5 different facts because that really stood out. The reason it stood out is because in the other post I read no one else had it. I also noticed that you have a highlighted part that I tried to read and it was very interesting. Overall you should continue doing the post and to be you, I would love to see what you post next. Thank you for having me read your work. Your blog is very interesting and unique. I also like how you are showing something that others aren’t.